In early 1947, French intelligence officers received reports that foreign spies were instigating rebellion in some of their overseas colonies. The alleged culprits were not Soviets or their communist sympathisers but British and American agents. And the reports confirmed their deepest fears - that ‘the Anglo-Saxons’ were secretly conspiring to seize France’s empire for their own selves and demote France to the rank of a second-rate power. Drawing on original French, British and American archival sources and interviews, this book tells the true story of the ‘Great Game’ that France has played against Britain and America since 1945. The story moves from the forests of Madagascar in the late 1940s, where the French shadowed the mysterious British operative ‘Major Morris’, to the plains of Indochina, where France manoeuvred against the American forces it was dependent upon to beat back communism; and from the Middle East in the mid-1950s, when France tried to wrest Israel away from the United States, to Central Africa in the late 1990s, when Paris fought a war by proxy with the Americans. It looks at the ‘last Anglo-French War’- in Biafra in 1968 - as well as ‘the first Franco-American’ conflict, in North Africa in 1942. And it tells the true story of how anti-British elements within the French government secretly assisted the Argentine forces during the Falklands war - causing panic in Whitehall and nearly rupturing relations between London and Paris. This is a story of extraordinary and remarkable personalities - spies, adventurers, gun-runners and conniving politicians - who shaped the course of events in the post-war period. "Howard tells a rattling tale, full of slapstick and bloodshed...One chapter, straight from the pages of Graham Greene, recounts a duel between British spies and French officials in post-war Madagascar...The author is good on the vying power centres in Paris (and) Howard’s chapter on the Falklands War is a thorough dissection of how these interest groups almost prevailed over Mitterrand’s pledge of support to Margaret Thatcher." "Excellent... Howard tells a rattling tale, full of slapstick and bloodshed...One chapter, straight from the pages of Graham Greene, recounts a duel between British spies and French officials in post-war Madagascar...The author is good on the vying power centres in Paris (and) Howard’s chapter on the Falklands War is a thorough dissection of how these interest groups almost prevailed over Mitterrand’s pledge of support to Margaret Thatcher." "In Power and Glory, the past meets the present. 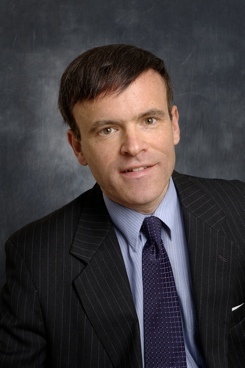 Howard’s breathless style should not detract from his thesis, that although America, Britain and France have been allies since the war, their ingrained rivalry has kept them playing each other at a ‘Great Game’. He proves that events are often not as they seem, which is, after all, why people write history." Daily Telegraph 'Books of the Year'. "Howard’s study is especially valuable; though there are some lacunae and a few mistakes it also contains a great deal of useful material ." 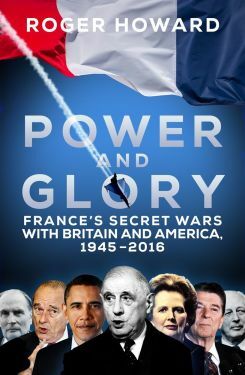 Congratulations to Roger Howard whose Power and Glory: France’s Secret Wars with Britain and America, 1945-2016 is a Daily Telegraph ‘History Book of the Year’ and has been shortlisted for the Franco-British Society Literary Award 2017. Biteback have bought World English rights in Roger Howard’s France’s Great Game which , drawing on original French, British and American archival sources and interviews, tells the true story of the ‘Great Game’ that France has played against Britain and America since 1945.